Providing group and Individual supervision for trainee and experienced counsellors. I run my own private practice in Waltham Abbey, covering Enfeild, Loughton, Epping, Broxbourne, Nazing, and Harlow. I run the 8 week MBCT and MBSR programmes 3 times a year. Registered BACP Counsellor and Psychotherapist. Experienced Mental Health Practitioner, working in both Counselling and Management. I work integratively which means I adapt to individual client needs, rather than the clients fitting into the way I work. I have undertaken additional training in Cognitive-Behavioural Therapy (CBT) which has been proved extremely beneficial for clients with anxiety, depression, panic attacks, post natal depression, stress, low self-esteem and loss. Clinical supervision is also available to pactitioners. This provides a constructive disussion for you to explore the work you are doing, with clients. Supporting you to examine your own way of being, looking at feelings, thoughts, and any fears that may emerge in your work. This relationship is desgined to support and enable you, to move forward in your work. Iam an experienced and registered Mindfulness Teacher, Running regular Mindfulness Programmes since 2012. 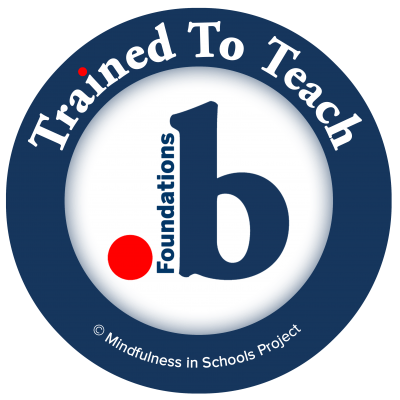 .b Trained and Paws b. to deliver Mindfulness in schools. Mindfulness based cognitive therapy (MBCT) is a process of paying attention to our thoughts and feelings moment to moment without judgment. Learning to tune into what is going on within our experiences by suspending all self-criticism. Becoming aware of our thoughts and feelings may not sound like the most obvious way to overcome stress, anxiety or depression. Learning to refrain from negative self-judgment and self-criticism can have an amazing effect. We also provide anti depressant and minor tranquiliser withdrawal support. Although these drugs can be of help in the short term, they can also increase symptoms if taken longer than the recommended length of time. Many people have found themselves dependent on prescribed drugs, even though they have been prescribed by a GP. Supervision is a formal arrangement for therapist to discuss their counselling work with someone who is experienced in both Supervision and Counselling. The task is to work together to develop effectiveness of the therapist client relationship.